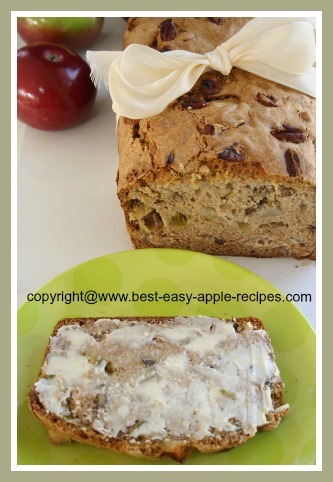 This amazing Apple Rhubarb Bread Recipe makes a delicious loaf of fresh apple bread with healthy rhubarb too! 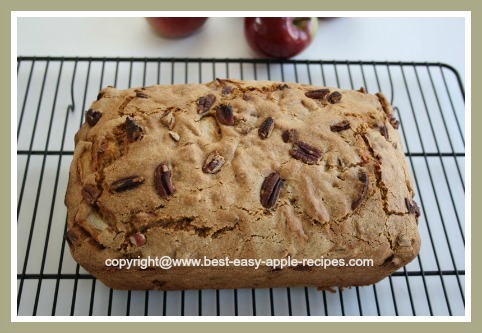 This is an apple "quick-bread" recipe, meaning there is not need to use any yeast! Just all-purpose flour. **You can also use frozen rhubarb for this recipe. Thaw the frozen rhubarb in a sieve over a bowl, and discard the excess liquid. I usually thaw a little more than 1 1/2 cups of frozen rhubarb to make the propper amount of rhubarb required for the recipe. In a bowl, combine the prepared rhubarb and apples. In a another bowl, combine the flour, baking soda, salt, cinnamon, baking powder, and nuts. In another, large bowl, beat (with an electric hand mixer) the eggs, and beat in the sugar, oil, and vanilla. Gently fold the egg mixture into the flour mixture, just until combined, do not overmix. Batter will be thick. Fold in the prepared rhubarb and apples. 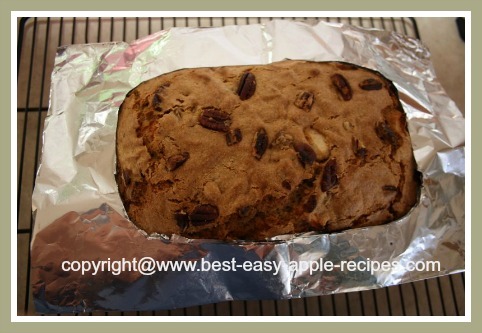 If desired, make a shield out of aluminum foil paper (see pictures below), and add to the bread after it has baked in the oven for about 30 minutes. I like to add this shield to prevent the edges of the loaf from becoming too dark. (Similar idea as a pie crust shield). 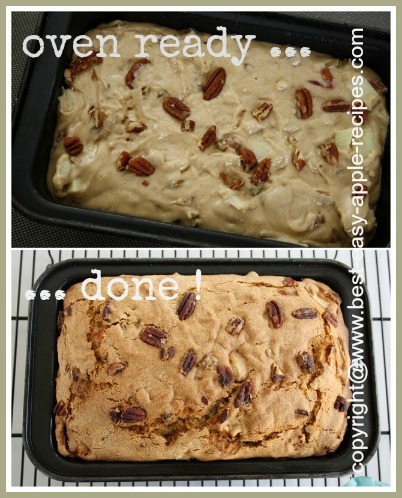 Allow the loaf to cool for about 20 minutes on a wire rack before slicing. 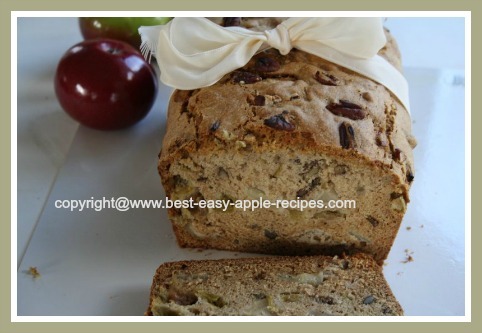 Enjoy this Homemade Rhubarb Apple Bread! 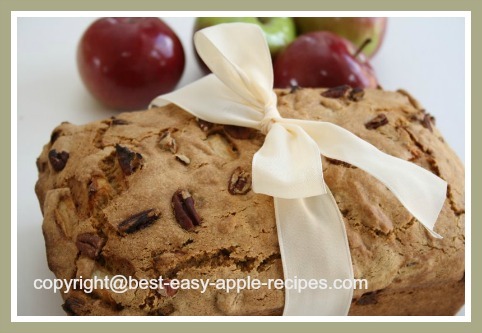 Apple and rhubarb muffins provide much of the same texture and taste as apple bread. Why not visit my other website, rhubarb-central.com where you can find hundreds of rhubarb recipes!